Marketing automation is an amazing technology but if it is not customized according to the needs and requirements of the business, it can prove counterproductive. For your convenience, we have prepared a list of the key features that you need to look out for in a marketing automation platform. Marketing automation platforms that integrate seamlessly with customer relationship management platforms can be a very powerful weapon. Tight integration with your CRM system will allow you to transfer lead information seamlessly between marketing and sales. Better alignment between marketing and sales will improve the effectiveness of campaigns. Your CRM system should talk to your marketing automation platform and your marketing automation platform should talk to your CRM system. Send the right information to the right prospects at the right time. Lead nurturing is the process of sending a series of automated emails that will trigger based on a person’s behavior. Being able to nurture leads based on a variety of attributes (behavior, demographics, buying stage) is a highly sought after tool by marketers. RELATED: Social Media Strategy Changes In Light of the Facebook Apocalypse! Campaigns are the workflows you use to nurture leads along the sales cycle. Campaigns have both timed and triggered events. To run successful campaigns you need to send direct and personalized emails to a large number of people. Make sure campaign management within your platform supports both inbound marketing and outbound campaigns as well. This is another fundamental feature of marketing automation software. Lead scoring enables marketers to concentrate on the most promising leads. Every customer receives a score, based on his activities. When a lead matures i-e reaches a threshold value, it is sent to a sales representative so that appropriate action could be taken. Being able to move leads through the entire marketing funnel is a challenging task and should be handled effectively by your Marketing Automation Platform. Know what the customers and prospects have to say about your company’s products and services, how they respond to email messages and website content and incorporate that data into your marketing automation platform. The marketing automation platform you select should have built-in social media marketing and management tools. Monitor every person who visits your website by tracking their behaviour, including which pages they click, from where they access the website, what keywords they typed on Google that directed them to your website etc. Many applications deliver real-time alerts to sales representatives when a lead, prospect or customer visits the website. Visitor tracking should also be able to segment your database upon those tracked activities. 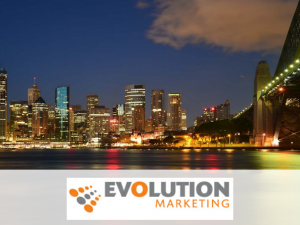 Evolution Marketing is an independent business software consulting firm based in Australia. Their experts work with technology leaders like SugarCRM to provide high value CRM and marketing automation solutions to help businesses acquire more leads and increase sales. Rolustech decided to enhance the functionality of Sugar by integrating the API’s of three key marketing automation tools that would serve their client’s needs. Read the complete case study here. 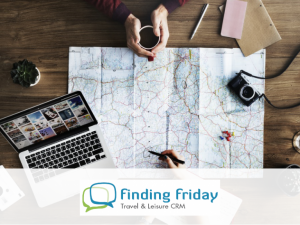 Finding Friday specializes in CRM for the Travel and Leisure Industry. The company strives to connect travel and leisure companies with potential travelers and tourists. Their primary need was to integrate marketing automation tools so their clients to whom the solution was sold could run successful marketing campaigns, nurture leads along the sales cycle and reach out to more customers in less time with little or no manual effort. MailChimp, Act-On and Instellar integrations were done with SugarCRM. You can read the complete post here . Convinced that you need a Marketing Automation solution? Click here to schedule your free consultation session.